This week I’ve been going through each of the initial subclasses for the three main classes in Destiny, starting with the Striker for the Titan, and yesterday the Voidwalker for the Warlock. Today I want to go through the Hunter’s Gunslinger subclass. Admittedly this was my least favorite class in the Beta, so I really haven’t spent quite as much time with it as the others. That said, it’s a class that really has a very simple identity, so it doesn’t need quite as much toying around as the others. Let’s start with the grenades for the Gunslinger. 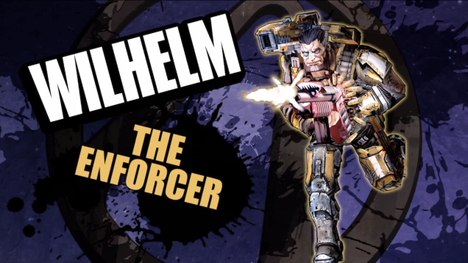 The three different types are the Incendiary, Swarm and Tripmine. All three deal Solar damage, which makes them really useful against Wizards and Centurions as they have red shields. As for their actual behaviors, the Incendiary grenade functions basically like a standard grenade. It bounces once, then blows up with a decent blast radius, and sets enemies on fire to deal a bit more damage. The Swarm grenade splits upon impact, spreading out a bunch of smaller explosives that will seek out enemies, really useful for holding down a doorway or point. The Tripmine grenade is pretty self-explanatory in that it’s a mine that is triggered by a laser tripwire. 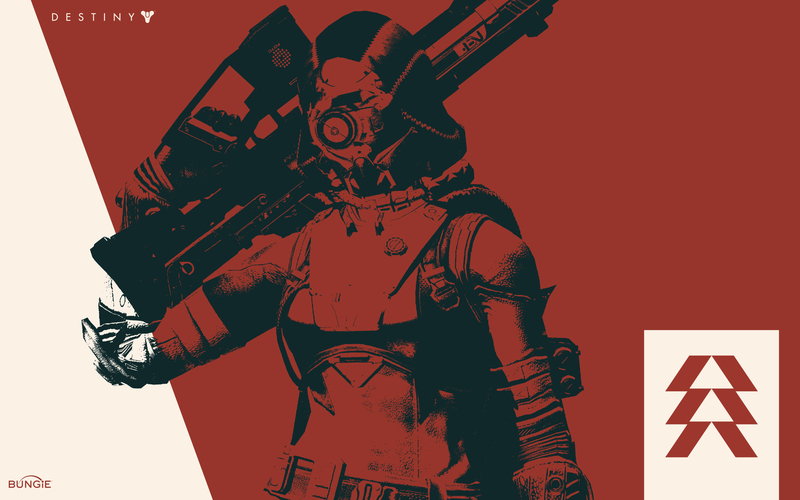 The Gunslinger is probably the most PvP built subclass from the grenade perspective – the Swarm and Tripmine grenades both help control how the enemy moves around chokepoints, and since they deal Solar damage, they deal damage over time. For PvE though, I like either the standard Incendiary grenade or the Swarm grenade for clearing out groups of enemies. One trait that I think really defines the Gunslinger across most of the abilities is precision. 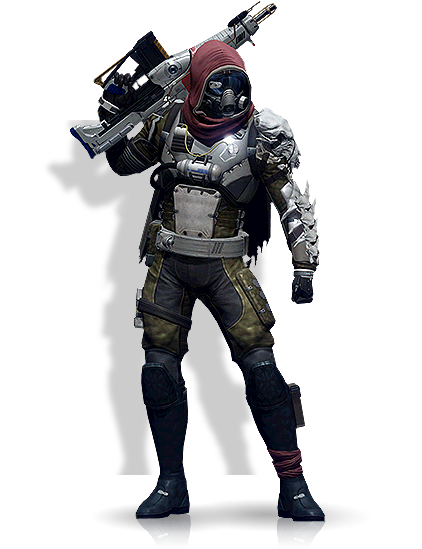 Hunters are already the Destiny equivalent of a ranger/rogue/sniper style character, dealing with stealth and speed more than brute strength. That extends to the melee ability with the Gunslinger – the Throwing Knife. With the Striker and Voidwalker’s melee abilities, if you miss, the cooldown immediately resets, no harm, no foul. That’s not the case with the Throwing Knife. Regardless of whether you hit or not, the cooldown will trigger, so it’s important to make sure that you connect. The nice thing is that the Throwing Knife does some serious damage, and is capable of dealing precision damage on top of that. With the add ons, the Knife can boost its effectiveness in a couple different ways. First with Circle of Life, kills with the Throwing Knife during Golden Gun extends the duration of Golden Gun, keeping your super ability active a bit longer. Using Incendiary Blade, Throwing Knife will also set enemies on fire, dealing damage over time after contact. Finally, Knife Juggler makes it so precision kills with the Throwing Knife immediately reset the cooldown, giving you a second knife right away. Moving on now to the Golden Gun, the Gunslinger’s super ability, we also see a good example of how precision ties into the Hunter’s playstyle. The Golden Gun grants the Hunter a suped up hand cannon with three shots that deal some major damage, imbued with Solar damage. The gun doesn’t last forever, and also disappears after the three shots are fired, which can’t cause critical hits either. Ultimately, the Golden Gun, I think, is best suited for clearing out three enemies in one shot each, or dealing a bunch of damage to a boss without using any ammo. The upgrades for Golden Gun include: Deadeye, Combustion, and Gunfighter. Deadeye increases the accuracy of the Golden Gun, obviously; Combustion makes enemies killed with the Golden Gun explode when killed, giving you a little bit of a chain reaction; and Gunfighter reduces the cooldown on the Golden Gun, letting you use it more often. I like Combustion myself, since it helps Golden Gun deal with larger groups of enemies a bit easier. As for the class upgrades, the six available are: Scavenger, Keyhole, Gunslinger’s Trance, Chain of Woe, Over the Horizon, and Gambler’s Dagger. Scavenger makes it so any ammo pickups you grab reduce the cooldown on grenades and the Throwing Knife. Keyhole will let shots from the Golden Gun penetrate targets, again helping you hit more than just three enemies. Gunslinger’s Trance makes precision kills increase weapon stability, which can stack up to three times. Chain of Woe is a very similar skill, where precision kills increase your reload speed, again stacking up to three times. Over the Horizon increases the range on the Golden Gun, playing into the idea that the Hunter is a sniper. Finally, Gambler’s Dagger gives you a second Throwing Knife, which gives you a little bit of leeway with that particular ability. 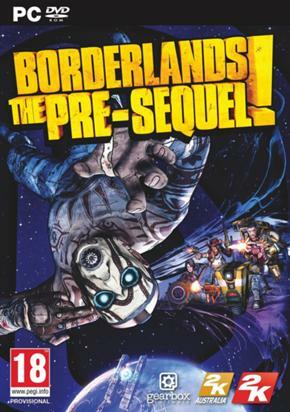 I always like abilities that increase your weapon handling, so I like Gunslinger’s Trance and Chain of Woe together, but Gunslinger’s Trance is a late-game unlock, so I would instead offer up Scavenger from that particular tree. The Gunslinger is built around long range damage, dishing out critical hits and powerful ranged melee strikes – as such, they’re a little fragile when their shields break. Beyond that, the Hunter already has the lowest recovery stat of the three classes, but a higher agility stat, making it easier to get away and heal. Play the Gunslinger slow, precise and safe and you’ll do fine. In the Crucible though, the Hunter can be really strong, with Golden Gun able to kill three enemies with great precision – always a great thing in PvP. One of the best parts of playing through Destiny is that freedom to choose different subclasses dependent on your main class. Once you hit level 15 you can select a second subclass, and can actually change subclasses across all your characters, regardless of their levels. With that in mind, I want to go through the subclasses for each of the main classes, starting with the original subclasses. 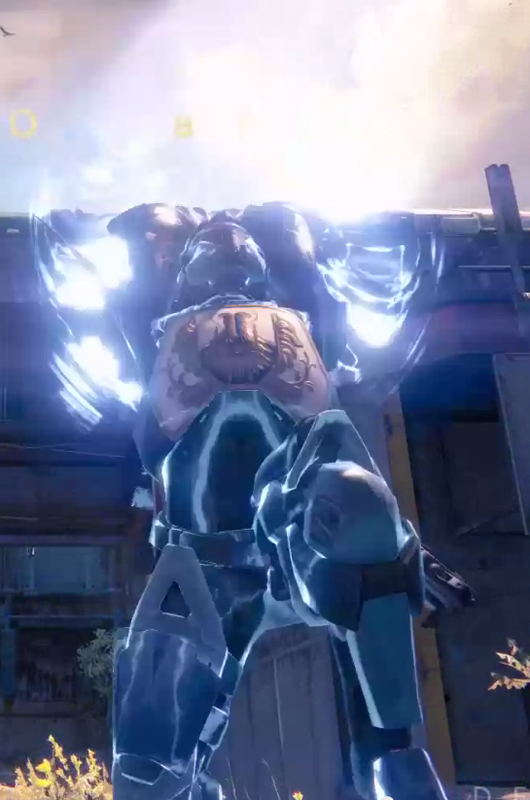 Today we’ll go through the Titan’s Striker subclass. 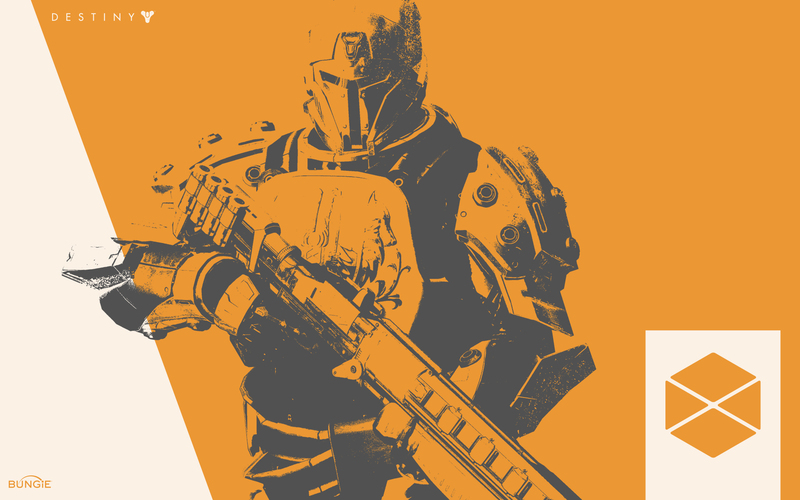 The Striker subclass is based all around arc damage – the grenades, melee and super ability all deal arc damage. The super ability – Fist of Havoc – is essentially a giant ground pound, fantastic for clearing out good size groups of enemies, so far as they aren’t majors or ultras. In general, if the health bar is yellow, definitely weaken them before hitting them with the Fist of Havoc. One area where I would say to change that tactic is fighting the Fallen Captains. 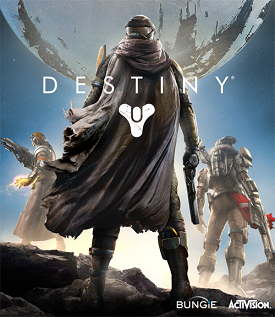 One of the things that’s not really spelled out in Destiny is how the elements actually work. Instead of specific enemies being weak against a certain element, it’s the enemies’ shields that dictate that. Enemies with blue shields take extra shield damage from arc damage; red ones solar and purple ones void damage. Fallen Captains have blue shields, so in general Striker abilities are awesome for breaking those shields really quickly. On the other hand though, Hive Wizards, Vex Minotaurs and Cabal Centurions all have shields that resist Striker abilities. In terms of grenade abilities, the Striker has the flashbang, pulse and lightning grenades. The flashbang is great for large groups of enemies that are too strong to just kill in one fell swoop, stunning most enemies for a short time to help with clean up. It’s useful in both PvE and PvP settings, since the stun affects players pretty effectively. The pulse grenade on the other hand is built more to be a straight damage grenade – detonating on contact and producing a pulse of arc damage every couple seconds. It’s great for clearing out a group of enemies in one attack, and in PvP terms, it’s good for holding down a point or doorway. Finally, the lightning grenade is sort of an upgraded version of the pulse grenade. It also produces damaging pulses, this time in the form or lighting bolts. The major selling point with the lightning grenade though is that it can be attached to any surface, which helps set up some attack angles that wouldn’t work otherwise. It’s a good way to help corral enemies. The melee ability is Storm Fist, which is essentially a super powered punch, that deals arc damage. It can be augmented with Overload, which gives you a small chance to instantly recharge Storm Fist; Discharge, which gives you a small chance for Area of Effect damage, basically blowing up enemies you punch; and Amplify, which grants extra cooldown for the Fist of Havoc when you kill enemies with the Storm Fist. Each is actually pretty useful, but I would say that Discharge is more useful in PvE, and Overload is more useful in PvP for double melees. Amplify can be useful, but really needs to be coupled with gear with high Intellect stats to help with the recharge. The Striker also has six other abilities/upgrades: Headstrong, Aftershocks, Transfusion, Unstoppable, Shoulder Charge, and Juggernaut. Headstrong lets you leap farther with Fist of Havoc, Aftershocks increases the duration of all the after effects of grenades and Fist of Havoc, Transfusion makes kills with Storm Fist trigger health regen, Unstoppable makes it harder to kill you with Fist of Havoc, Shoulder Charge gives you an extra melee attack after you sprint for a short period, and Juggernaut gives you a shield for a brief period after sprinting for a bit. These can all be chosen based more around personal preference, but I’ve found that Aftershocks or Transfusion is a good choice, and really any of the other three from the final tree work well too. Lastly, let’s actually look at Fist of Havoc and the upgrades for it. The first upgrade along the skill tree is Aftermath, which leaves a pretty large dome after using the attack that pulses out extra damage. It’s gotten me out of a couple jams when I super bosses towards the end of their health bars, but just a bit too early. The next upgrade is Death from Above, which gives you the ability to hover in mid-air while you aim the actual ground pound attack, if you trigger Fist of Havoc while jumping. It’s really useful with groups of enemies to ensure that you hit in the best spot. 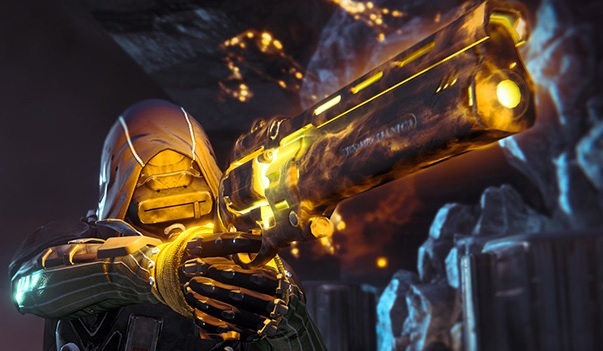 The final upgrade is Shockwave, which shoots out a wave of energy along the ground when you use Fist of Havoc. It’s another ability that helps ensure that you deal the most damage as possible. Each upgrade is actually pretty useful, but I like Death from Above the most I think. The nice thing is that there are some Exotic gear that actually grant some of these upgrades with them, so you can set your class abilities based around them. Ultimately, I really like the Striker subclass – it’s a great tanking class, that’s still able to deal a ton of damage. Taking the codexes that boost armor and recovery help keep you alive longer when your shield breaks (which it will, if you’re using your melee and super a lot) and a lot of the Titan gear has strong defense ratings to help with that. I would recommend building a Striker with Lightning grenades, Discharge for Storm Fist, and Death from Above for Fist of Havoc. Add in Shoulder Charge to give you another melee attack to help deal damage in close range and Aftershock to keep your Lightning grenades zapping longer. I think you’ll find playing a Striker plenty of fun, in both PvP and PvE.